WASHINGTON — As the Chilean Air Force looks to replace an aging spy satellite it bought from Airbus a decade ago, the European aerospace giant is facing competition for the project from Ball Aerospace, Lockheed Martin and Maxar Technologies, according to industry sources. 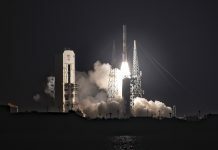 In a departure from Chile’s previous plan to order an updated version of its sole spy satellite, the air force is now looking at whether it can acquire partial control of a more advanced satellite of the caliber Maxar’s DigitalGlobe division operates for commercial customers and U.S. spy agencies. 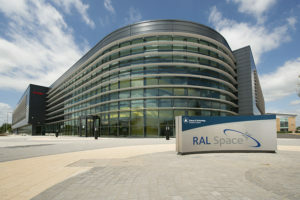 Under an invitation-only request for information (RFI) released Feb. 3 to select companies, the Chilean Air Force’s Logistic Command said it is willing to spend up to $200 million for what would amount to part-time ownership of a commercial Earth-observation satellite capable of collecting images with a ground resolution of 0.5 meters or better. The RFI gives the invited companies 30 days to outline a proposal for building and launching such a satellite for Chile by February 2022, or giving the air force direct control of an existing or planned half-meter-resolution satellite when it is over Chile and other parts of the region. The RFI also seeks industry feedback on cheaper alternatives to sharing a state-of-the-art satellite with a foreign operator. These alternatives include help building and launching its own microsatellites, or acquiring something more like a direct replacement for its lone spy satellite, the 1.45-meter-resolution FASat-Charlie. The RFI caps those options at $100 million, or half what it says it is willing to spend for partial use of a more advanced satellite. Built by Airbus, FASat-Charlie was the highest resolution imaging satellite in the region until Airbus built a higher-resolution version for neighboring Peru that launched in 2016. Capable of collecting 0.7-meter-resolution imagery, PeruSat-1 is about twice as powerful as FASat-Charlie. Airbus Defence and Space and Lockheed Martin Space Systems confirmed they are among the companies the Chilean Air Force invited to respond to the RFI for new satellite capabilities that could potentially put Chile back on top. 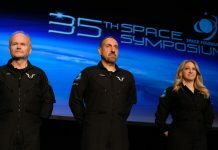 Lockheed Martin Space Systems spokesman Matthew Kramer said Feb. 11 that Lockheed was invited by the Chilean Air Force to respond to the RFI. 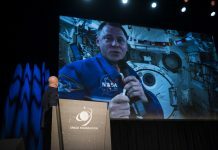 Ball Aerospace and Maxar Technologies spokespersons declined to comment on the RFI, but industry sources told SpaceNews that both companies received the RFI. Col. Luis Felipe Saez Collantes, the Chilean Air Force official leading the RFI, did not respond to a Feb. 7 email seeking comment about the project. Chile has been in the hunt for a new reconnaissance satellite capabilities since as early as 2015 when it issued an informal solicitation that spacecraft manufacturers in the United States and Europe had expected to result in a formal request for bids by now. According to a copy of the Feb. 3 RFI obtained by SpaceNews, the Chilean Air Force is seeking fresh industry input as it examines alternatives to the so-called Catelejo, or “Spyglass,” project under which Chile intended to acquire a government-owned-and-operated successor to FASat-Charlie, which launched in 2011 and is currently operating two years past its five-year design life. Ball Aerospace and Lockheed Martin have built commercial imaging satellites providing 50-centimeter or better resolution while Airbus and Maxar Technologies are currently developing competing commercial satellite constellations that promise 30-centimeter-resolution imagery. Chile’s air force might also be willing to spend up to $100 million for outside help building its own microsatellite constellation, according to the RFI. If Chile goes the microsatellite route, it would be looking for help building, launching and operating a system of at least four 12U to 24U microsatellites equipped with a mix of imaging, telecom, aircraft-tracking and scientific payloads. 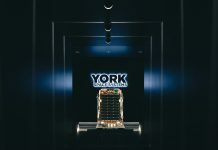 The satellites would be built using standard cubesat configurations where a 1U cubesat measures 10 centimeters on a side. 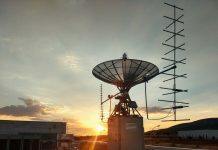 The RFI says the first such microsatellite could be built outside Chile if necessary to meet a December 2021 launch deadline. The other three would need to be built in Chile, with at least one of those ready to launch by February 2022, according to the RFI. A straightforward FASat-Charlie successor, if Chile opts for that approach, would also need to be in orbit by February 2022 and would need to be built to last at least 10 years. Under the $200 million option outlined in the RFI, Chile would seek to gain use of a satellite comparable to the Pleiades Neo satellites Airbus is building or the WorldView Legion satellites Maxar has in development its Space Systems Loral subsidiary. Both WorldView Legion and Pleiades Neo promise 30-centimeter-resolution imagery and are slated to enter service before Chile’s 2022 deadline. Maxar, which acquired DigitalGlobe in 2017, has said it expects to invest $600 million in WorldView Legion, but has not said how many satellites the constellation will include. 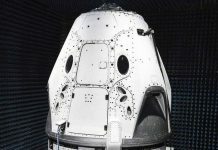 In March 2018, Maxar announced that it had chosen SpaceX to launch the “initial block of the multi-satellite WorldView Legion constellation” on two Falcon 9 rockets in 2021. Last month, Maxar cited the need to concentrate capital on Legion when it announced it was pulling the plug on a satellite-servicing spacecraft it was co-developing with the U.S. Defense Advanced Research Projects Agency. Airbus exhibited its four-satellite Pleiades Neo constellation concept at China International Aviation & Aerospace Exhibition in October but has not made more recent public announcements about the project. Chile, for its part, is a relative newcomer to space. The nation’s first satellites, FASat-Alfa and FASat-Bravo, were purchased from U.K. smallsat specialist Surrey Satellite Technology Ltd. under a technology transfer agreement. FASat-Alfa was lost in a 1995 launch failure but FASat-Bravo reached orbit in 1998 and continued to operate until 2002. 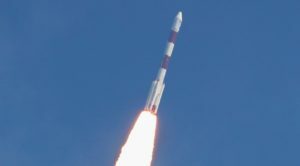 Chile’s only other satellite is a single-unit cubesat, a university-led project dubbed Suchai that launched in 2017 on an Indian PSLV rocket carrying more than two dozen small satellites. Is the Space Development Agency a threat to SMC?